There's one thing I have to admit to not doing in my adult life and that's a 1000 piece puzzle. Don't get me wrong it's not because I have been too snooty or anything just has never crossed my mind. 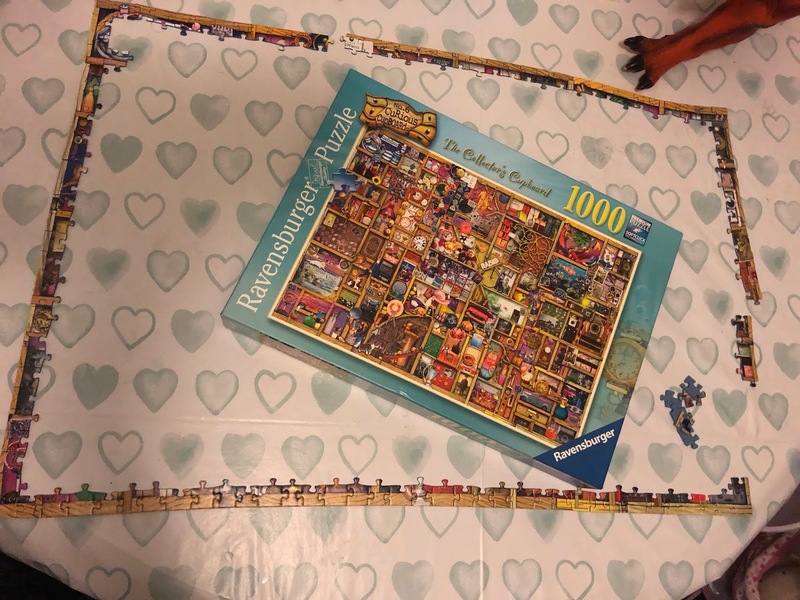 When I was contacted to review a 1000 piece puzzle and after my last 1000 piece puzzle I thought why not. It was something me and Asti did together and both enjoyed spending our evenings working on a puzzle together. We have been sent the collectors Cupboard by Ravensburger. The puzzle is a cupboard full of collectors pieces from shoes to buttons it has it all. 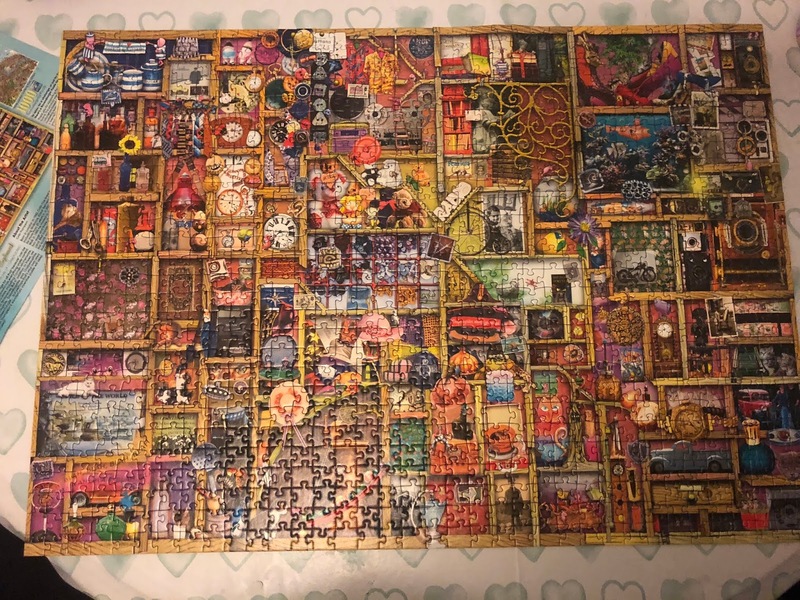 Having been a complete puzzle beginner ( I have only done one 1000 piece before) I have found I love completing a puzzle. I must have spent nearly a week sitting at the table in the evenings and my days off. I am clearly not that quick but it was very good to relax me after a busy day. I also found that the time just flew by and some nights I was staying up late because I lost track of time. This time Asti was keen to help like he did the last. I found that sometimes he would come down early to help and we would chat about our day. Being the eldest of three he has two younger siblings who usually take a lot of my time in the day. We both got small satisfaction when we found the right pieces and the collector's cupboard started to take shape. We found all the easy parts first then it all started to come into shape. 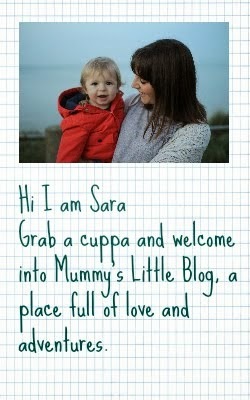 To start off with it was something me and my eldest would do in the evenings. In fact, he would come off screens early to help. I googled how long a 1000 piece puzzle took and it said 5-6 hours, whereas I can say it took us well over 20. There is so much going on in the puzzle so it makes it interesting and if what a little bit more difficult. 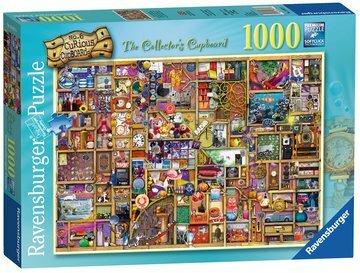 You can buy the Collector’s Cupboard puzzle from Amazon, Hobbycraft or other usual outlets. There are lots of puzzles in the Curious Cupboard series there are plenty of other jigsaw puzzles to choose from. They make perfect presents which are something I didn't think I would ever say but we really enjoyed these puzzles. For me and Asti its something to do when the nights are dark and long. My eldest son has ADHD so the puzzle actually had a calming effect and I actually saw him yawn which is something he never seems to do. 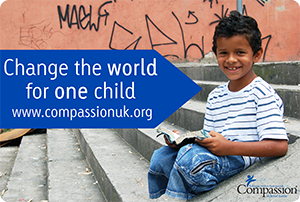 It really helped him relax and calm down from a busy day at school. For me, I found my self-completing parts throughout the day, then getting lost in time and being late for things. 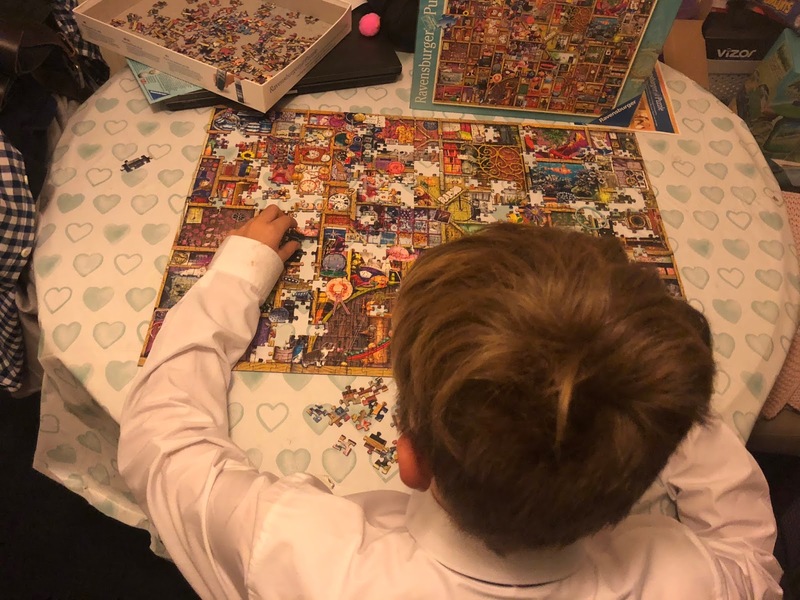 The puzzle has been a big hit in my house and we have had the pressure of competing to get the use of the table in the front room back. We need one of those puzzle mats now that we are proper puzzlers (after 2 puzzles that is). I am sure people will give me some after I have been saying how much we enjoyed this one. Wow! That looks like a fantastic puzzle!